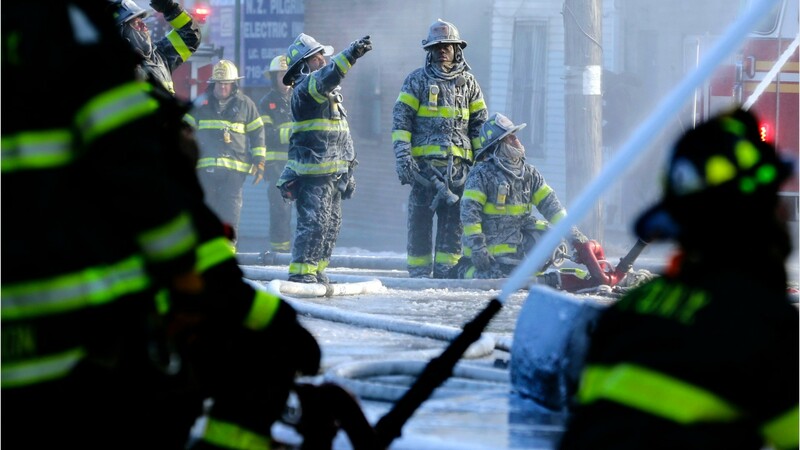 Courage, strength, and a cool head under pressure are some of the most important qualities needed by firefighters. Firefighters control and put out fires, and respond to crisis situations where life and the environment are at risk. Firefighters enter burning buildings to extinguish fires and rescue people, sometimes carrying them. They connect hoses to hydrants, operate pumps, climb ladders, and use other tools to break through debris. The majority of calls they receive are for medical emergencies, so many firefighters also provide medical attention. Some firefighters clean up hazardous materials, such as oil spills and chemical accidents, while others are specially trained to control forest fires. Most firefighters work for local governments. Some work for federal and state governments, or at airports, chemical plants, and other industrial sites. Volunteer firefighters serve the same roles as paid firefighters and account for a large portion of the workforce in this field. Firefighters’ schedules are typically on duty at the fire station for 24 hours at a time, then off for 48 to 72 hours. Wildland firefighters may work for extended periods to get a forest fire under control. Firefighters have one of the highest rates of injuries and illnesses of all occupations. They must wear heavy, hot protective gear. Firefighters typically need a high school diploma, valid driver’s license, and an emergency medical technician certification. Candidates must successfully complete interviews, written and physical fitness tests, fire academy training, and, once hired, they must pass random drug tests. See more details at O*NET OnLine about municipal firefighters. Municipal Firefighters by U.S. Department of Labor, Employment and Training Administration is licensed under a Creative Commons Attribution 4.0 International License.